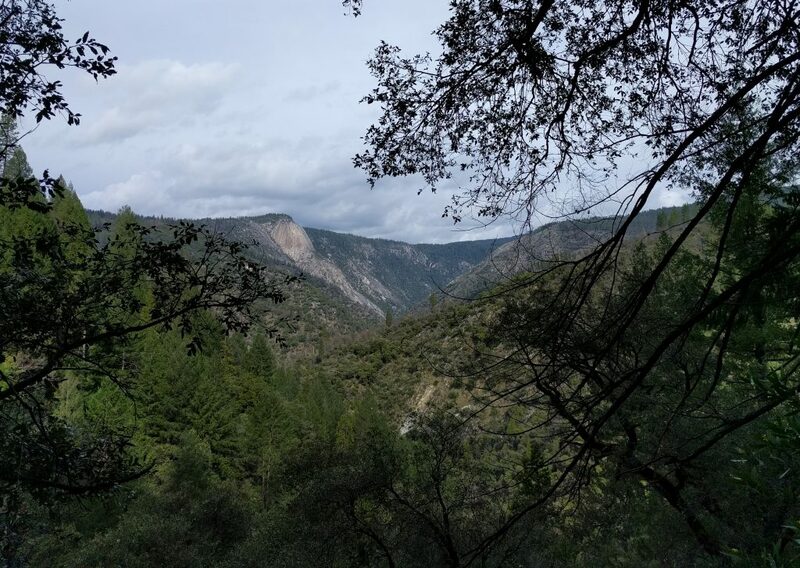 Feather Falls Loop | 8 mi | 1870′ ele. gain | 3:15 hr. I found Feather Falls in a Northern California hiking book. 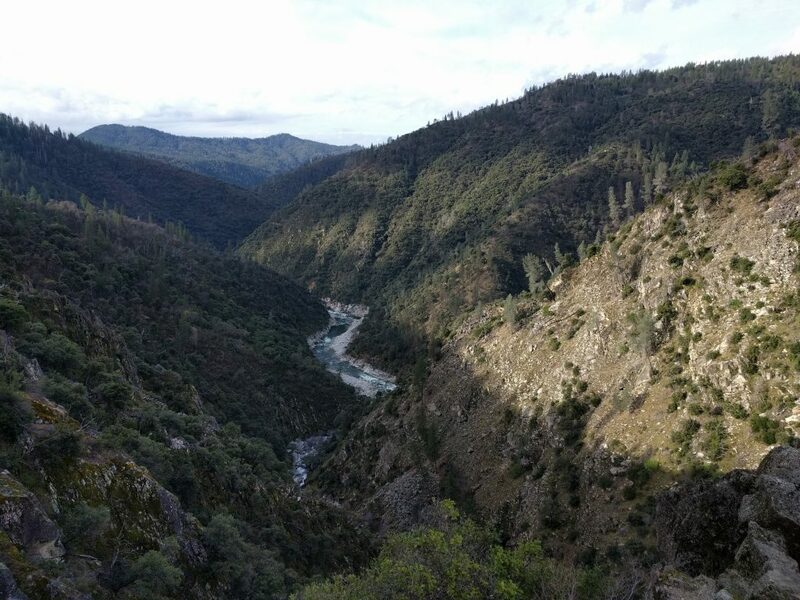 I had to drive to Sacramento for a weekend event, so I decided to tack on an extra day and do some hiking. The book rated Feather Falls as a “3” difficult level but “10” for scenery. Sounded like a plan to me. The description noted, however, that the trail was once a loop but now an out-and-back route due to some trail damage. The out-and-back would be 9 miles, but since it was pretty flat and easy going I figured I could tackle it in under 4 hours. I camped for the night at the trail head camping area, a free, walk-in tent site in the forest. It was very convenient to roll out of my tent in the morning and walk right up to the trail. I had forgotten to pack any hiking pants so I put on my sweats, hugged my thermos of tea and started up the trail. There was no indication of any closure up ahead so I was excited to be able to do a loop hike. The path was wide, well-worn and well-graded. There was a disappointing number of plastic water bottles tossed on the side of the trail. I can’t believe people are still actually buying those things. I sipped my tea as I wandered up the trail, enjoying all the unusual plants of the northern California forest. Everything looked similar to Oregon’s flora but just different enough to make me feel like I was on a movie set. There were fir-like trees, madrone-like shrubberies and ferns that were just a little off. 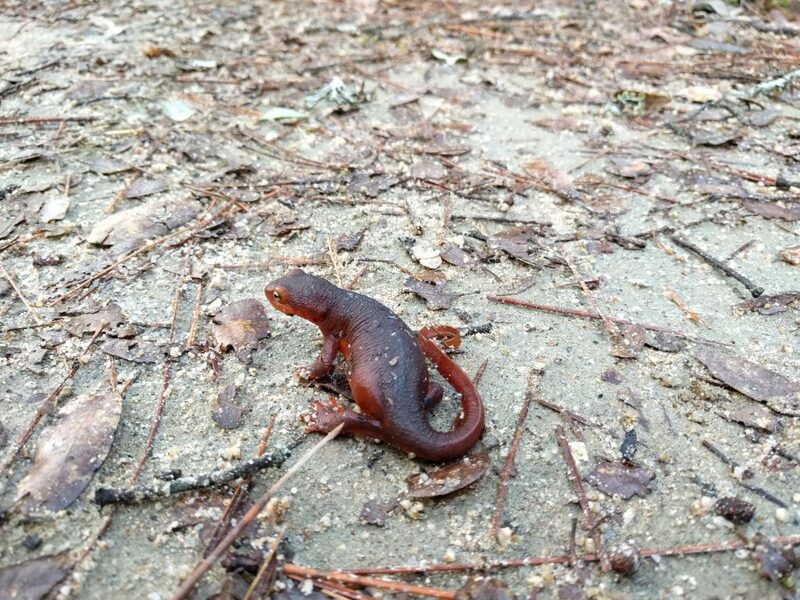 The occasional mushroom, flower, or newt splashed color on the otherwise brown and drab landscape. 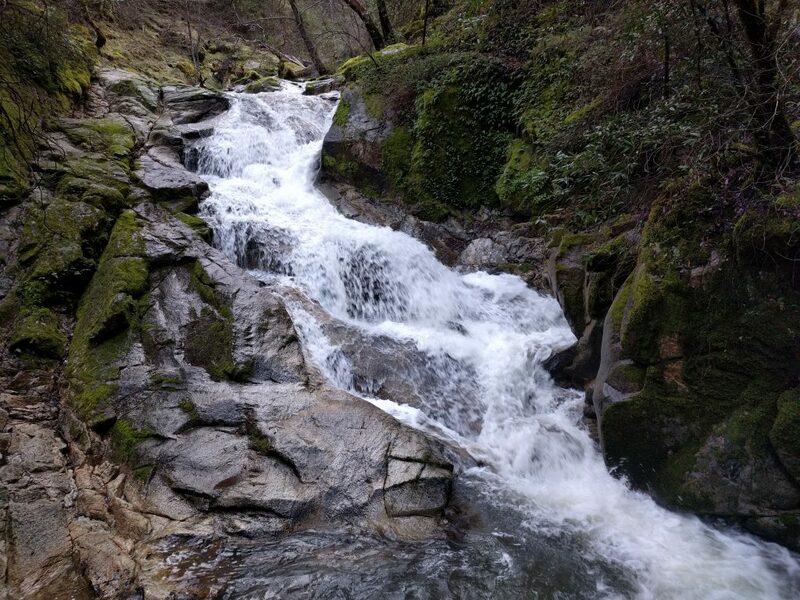 About a half hour up the trail I reached a pretty waterfall on Frey Creek. The water tumbled down beautiful granite slabs, with lush green moss growing on either side. Not 15 minutes later I approached a viewpoint of Bald Rock Dome, a mini-Half-Dome right across the valley. This striking granite rock face apparently has some “old-school” climbing routes on it, but today was not about climbing for me. I admired it, wiped the drool from my mouth and continued on. Signs along the trail kept me both entertained and informed. One warned of poison oak, which apparently grew everywhere (but I didn’t see any). I reached a new-ish looking trail sign that pointed towards the falls and headed in that direction. The trail looked like it was paved long ago but was now pretty eroded and worn away. Shooting star grew along the trail. More views opened up. The anticipation was building. Suddenly I could hear the water’s roar. I sped up, following the eroded trail to a wooden viewing platform with a front-row seat at the falls. Feather Falls, according to the signs, was the 6th largest waterfall in the contiguous U.S. and the 4th highest in California. It has a bit of an identity crisis, as the trailhead sign marks it at 640′ tall and the Internet calls it 410′ tall. 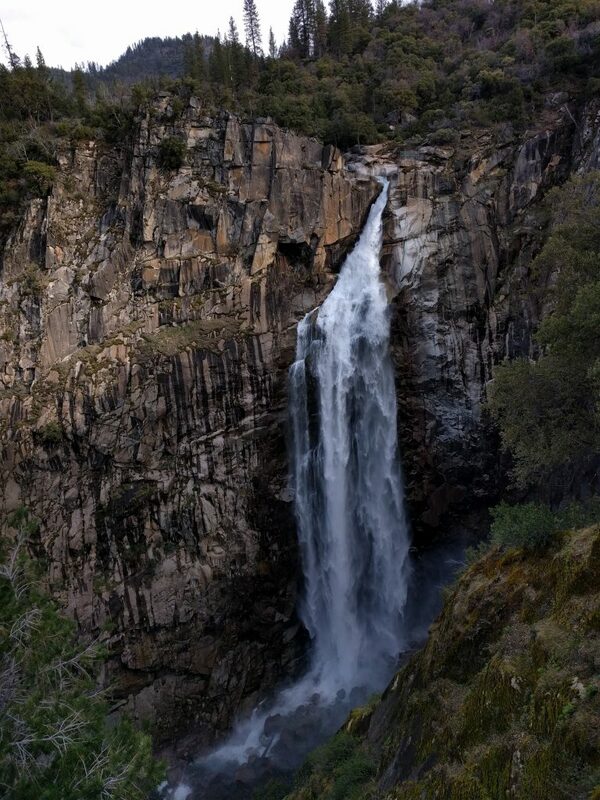 Besides, a quick search of “tallest waterfalls in California” shows that it doesn’t even rank in the top ten. Despite the number, it was an impressive waterfall. I enjoyed a good 20 minutes here, looking at the panoramic views and appreciating the solitude. I returned to the “falls” sign and headed towards the other half of the loop. Again, there was no indication that the trail was impassable so I went that way knowing that I might have to backtrack if I encountered a sketchy section. The sun finally peeked through the clouds. The warmth felt good on my skin. I negotiated a few washed out sections of trail but otherwise the other side of the loop was totally passable. 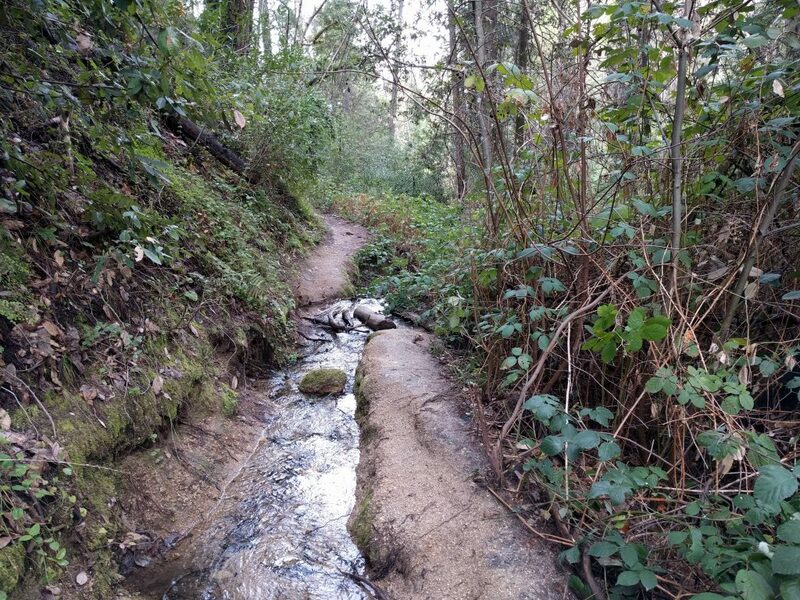 It did have a different character: it was steeper, narrower and more rugged. I’m sure most visitors simply did the out-and-back. But doing the loop at least shaved off a mile, so I was back to the car in just over three hours. Plenty of time to make it to Sacramento and take a nap before I had to be presentable. Feather Falls lived up to its expectations, well, except for the height. The trail was lovely. The waterfall was mesmerizing. And the early morning solitude was well-worth the early wake up. 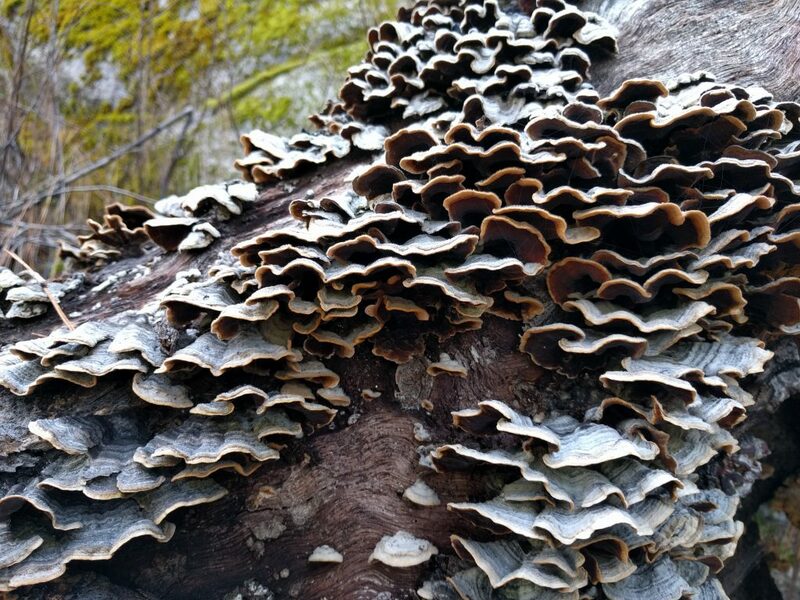 This entry was posted in California, Hiking and tagged hike366 on March 13, 2018 by Jess B.